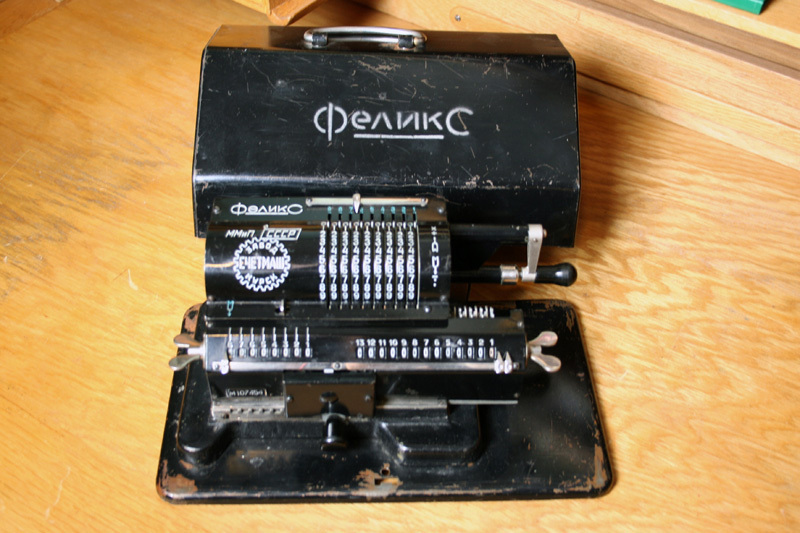 The design of the Soviet calculator Felix was based on the Odhner calculator made in St. Petersburg until the revolution in Russia in 1917. The name Felix derives from Felix Dzerzhinsky (1877-1926), founder of the Bolshevik Secret Police Cheka. The factory was moved by him from St. Petersburg to Moscow in 1924. In 1948 the factory was moved to Kursk, a city about 450 km south of Moscow. Production continued until 1970s. 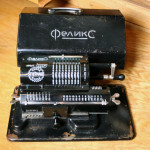 The text inside the gear is: ZAVOD=factory; SCSHITMASH=calculator; KURSK=name of city.